Jody & Judy Timmerman – LBI:You released three new songs back on June 16th. Can you tell us about those three songs and the strategy of releasing three tracks at a time? Arturo Bandini) It sparked from the idea of simply sharing a song we each wrote (Arturo, Jesus and Luis). We agreed on just focusing on 3 at a time, that way there is no pressure of dealing with a whole album at once. In a way the concept of the album is to just do 3 songs at a time. Luis Renteria) Much like our band name. I feel “3ness” implies a sense of spirituality. I don’t know. 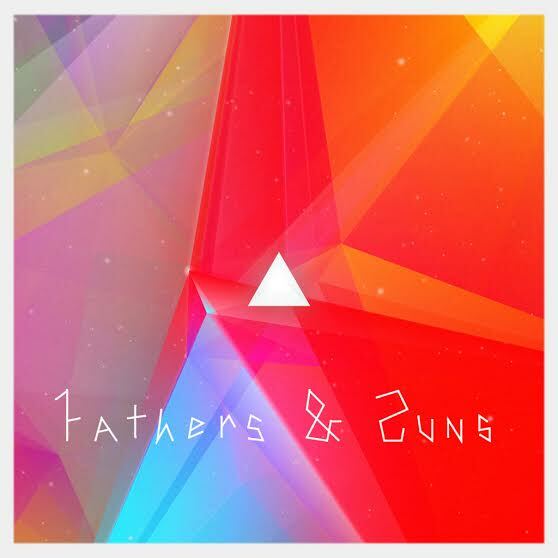 At the time the concept was being thrown around, there were only three members in Fathers & Suns. Gabotron, who’ll be directing all the artwork for the supposed vinyl release let me in on a lot of the concepts he’s been absorbed in, which coincidentally are triangular in thought, and he’ll be expressing this in his art. I’m really stoked on what he’s done so far. So, as it goes, there will be 3 parts to “tRy”, so to speak…tRy 1/3, tRy 2/3 tRy 3/3. LBI) Can you tell us when we can expect the next three songs and when the complete album will be released? AB) We haven’t had much time in the studio to track the follow up but we are not over thinking things so it should get done fast next time we are in, I’m guessing late September. BC) The next three songs are close to being released. I’m the new guy, so I don’t have all the secrets. But as soon as I find out, I’ll let you know..But you will probably find out before me! LR) We’ve got a couple in the can but I’m not sure if those songs will be in the next batch of songs. It has been such a weird time for the band. We’ve all been really focused on our day jobs and trying to make sure we’re happy with the financial side of our lives. Also, for the most part, we’ve needed a break from the band, from each other, perhaps. We’ve been spending more time together recently and luckily, we have a really great sounding studio and really do work fast once the ideas start flowing. LBI) What format will the new record be available? AB) Digital for sure, and there is the idea of pressing it on vinyl or cassette but for now for sure digital. BC) We’re toying with the idea of releasing these songs in bold print. Really dark like the future. LR) I definitely want to do vinyl. Gabotron art in 12 inches, muy bueno! LBI) Can you tell us the meaning of the new album “tRy”? AB) I’m afraid that I can’t put it into words. LR) Initially, word play for Tri. But tRy really gives it much more meaning, doesn’t it? LBI) Where are you recording the new tracks and who produced the record? AB) We are recording it ourselves at the little studio we like to call FatSun Studio. Luis is taking the lead on producing, recording, mixing and mastering. BC) We’ve been recording in our rehearsal space. Ideas seem to flow freely there. From my perspective, it’s all new, but I feel as though it’s a good atmosphere for everyone. Arturo and Jesus are a great team and probably could come up with interesting melodies and songs, anywhere they went. LR) I used to record a bunch of death metal bands about 10 years ago on the east side of Long Beach. After that experience, I hated anything to do with production. Recently I got the bug again. It’s been a lot of fun. A lot of learning…continual learning. LBI) Tell us about the newest member of the band. AB) Luis has known Benny for many years and we’ve played alongside his other band New Maximum Donkey several times and we’ve gotten to know him well. I actually recall seeing him a few years ago perform with Luis and he was on keys and I asked if he wanted to join the band, he turned me down in the nicest way possible, but all is good, he’s with us now and he’s been great, Extremely talented, get’s along with everyone, Benny is great! LR) Benny’s a really nice guy. LBI) Since your lineup has changed a little has your songwriting changed from past recordings? AB) I don’t think so, it seems we still have the same approach. Luis has been experimenting on drum machines and stuff but I don’t believe that had to do with the lineup. BC) I think it’s safe to say my influence on songwriting thus far, is very minimal. For me personally, the idea is to stay out of the way. I try to keep things as simple as possible unless the song calls for something more. I just want to be part of the solution, you know? LR) Different from the “Mama Provides,” our first album, was written. We rehearsed a lot back then. We enjoyed the wafting breeze that came through Arturo’s apartment at The Chestnut House. However, it is pretty much inline with the way we wrote “&”…half idea, or fully formed ideas come in, then a song is churned out. Recently, I was playing with the drum machine and Arturo just kicked in with some chords and a fully formed vocal melody. It’s very Kid A ish. Can’t wait to get that one complete. 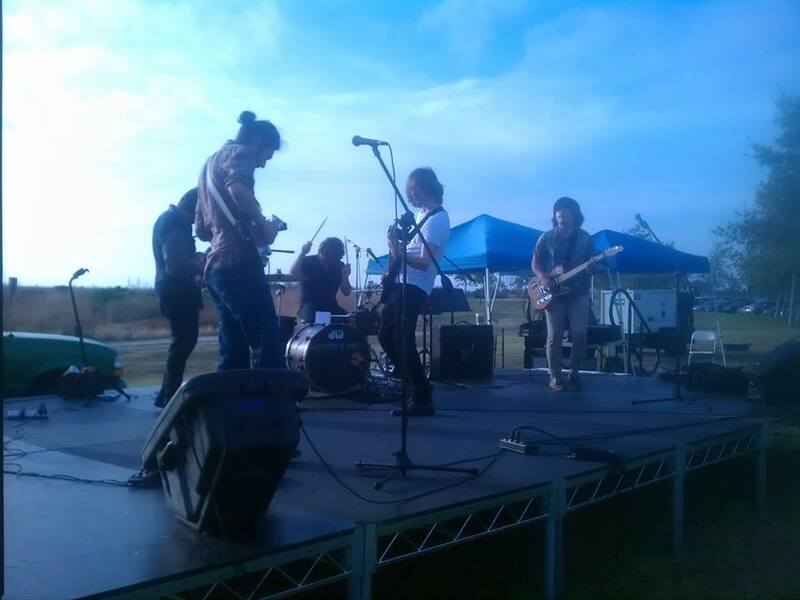 LBI) You recently won the battle of the bands in Costa Mesa; Did that help spark or fund any new projects? AB) It helped us pay our studio rent that funds our album and everything else we do as a band in that space. It was a blessing. BC) It helped fuel my addiction to gasoline! I just can’t stay away from that stuff! My family tried to host an intervention, but I never showed up because I was at a gas station spending my winnings! LR) Yes, typically any money we make goes to rent and gas. We’ve been really lucky. I can only remember once, maybe twice, that we’ve had to pay for gear, or studio rent, out of pocket. A blessing indeed. LBI) Can you tell us about any new shows or appearances in the near future? AB) Nothing booked now, just focused on recording these new tunes. LR) We love Wade and The Prospector. I’m sure each time we release a batch of songs, we’ll have a little get together with our friends there, Hopefully when the vinyl is pressed, we’ll bug Rand, yet again, and he’ll let us play at Fingerprints at the end of the year. LBI) Where can people buy your new songs? That is best, it directly supports us. BC) I don’t know, but if someone tells you, can you tell me?! We met over 15 years ago when we were booking rock bands for the Beachfest, a local music festival here in Long Beach, CA. Since then we have seen hundreds of shows together. This is our forum to talk about concerts, bands and records that we love in the hope that we can keep rock alive.